HIGH PERFORMANCE AIRBAG PROTECTION ! The airbag system has been completely redesigned to provide greater passive safety than previous generation airbags. Thanks to the use of Nitnol ( highly resistant and non-deformable metalic wire) inserted in the lower edge of the airbag, we were able to obtain 60% of the protective capacity before complete inflation which takes place in flight. 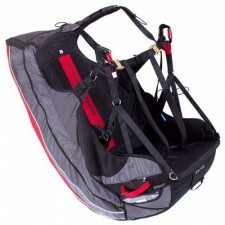 When fully inflated, it is fully comparable to the rules of our spring airbag harness system. The inflation valve has also been completely redesigned to guarantee airflow in the airbag notwithstanding the position of the legs. The thin shape of the valve improves the aesthetics of the airbag. 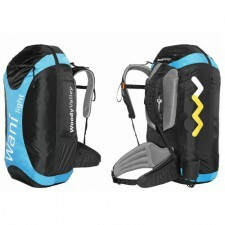 Tge reversibility system is the same as the Wani, with a rucksack independent from the airbag enclosed in the rear containtment pocket. 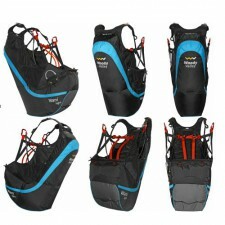 Weighing just 2.6 kg the simplicity and comfort during flight of WANI LIGHT will amaze you. The emergency parachute container build under the seat, designed with a maximum volume of 3,8 ltr suitable for containing the most lightweight, latest generation emergency chutes. The insertion system has been completely revamped, making it simpler and lighter. 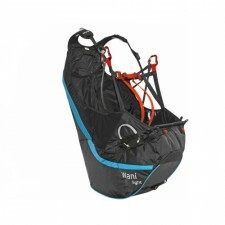 With this new system you must use the Wani Light;s specific float bag, attaching to it the deployment handle that came with the harness. 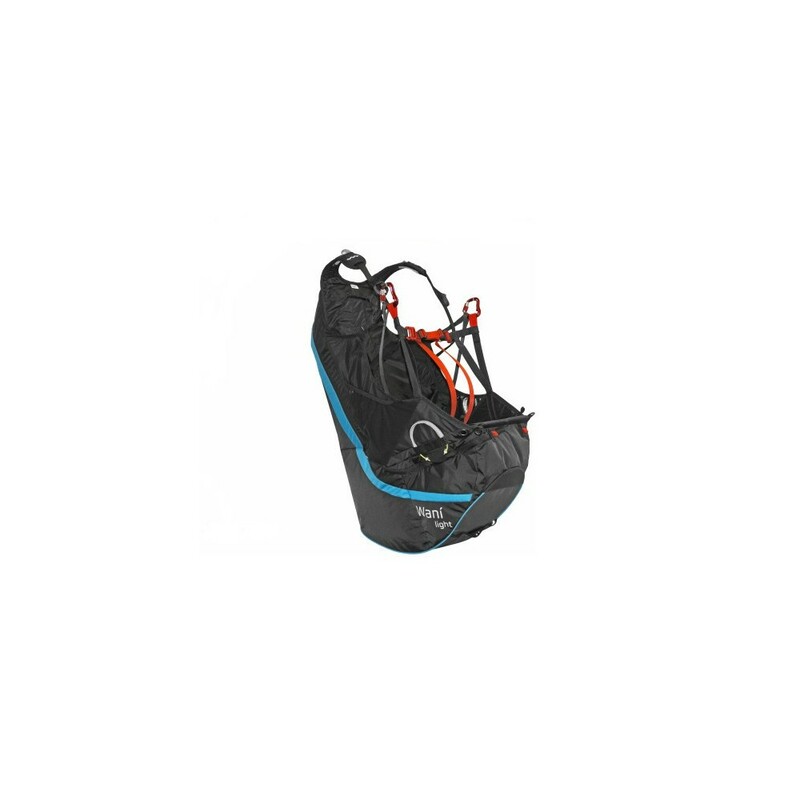 We have always beed attentive to the needs of our left-handed customers and on request you can order your harness with left-hand parachute extraction.